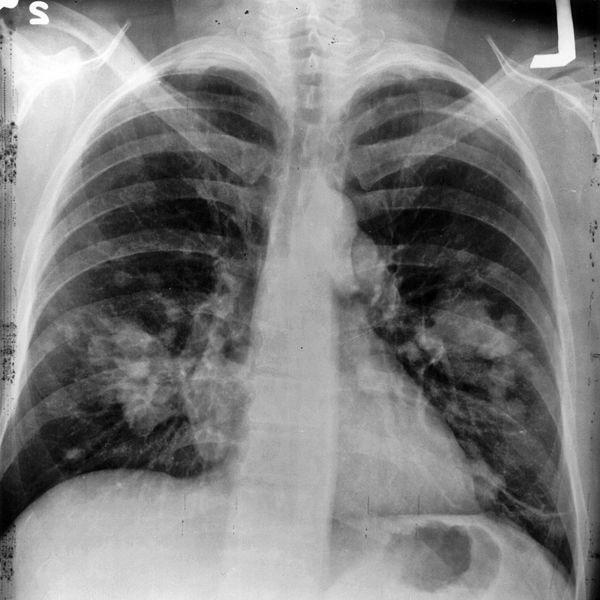 An x-ray image of a chest. Both sides of the lungs are visible with a growth on the left side of the lung, which could possibly be lung cancer. More than half of cancer cases in the United States could be prevented. That’s according to a new article published this week in the journal Science Translational Medicine by researchers at the Siteman Cancer Center and Washington University. St. Louis Public Radio's Véronique LaCapra spoke with lead author Dr. Graham Colditz about what we know about cancer — and why more isn’t being done to prevent it. LACAPRA: What are the most common causes of cancer in the United States and which ones of those are preventable? COLDITZ: We’ve listed out the predominant causes of cancer, the preventable causes. Smoking — tobacco — cigarettes — clearly causes about a third of all cancers in the United States and really is growing in that direction around the world. Obesity, lack of physical activity, alcohol, all come in with diet as the next sequence of factors in the way we live. And then viruses and excess sun exposure. In terms of the key things that are really outstanding in Missouri, tobacco probably is one of our really classic examples. We know in the US, Kentucky has the highest lung cancer mortality. Utah has the lowest lung cancer mortality. And Missouri has the lowest tobacco tax and one of the highest lung cancer mortality rates. Illinois just across the river has a lot more tobacco control than we have and [has] substantially lower lung cancer rates. So there’s a really clear relation between how much a state is focused on tobacco control, how that is reflected in the proportion of the population smoking, and how many people are dying from lung cancer. LACAPRA: A lot of the prevention measures that you’re talking about are behavioral changes. I know in your paper you also talk about some of the socioeconomic factors that can contribute to cancer risk. Can you talk a little bit about that, and how those factors might affect cancer rates in St. Louis and the rest of Missouri? COLDITZ: Sure. And we clearly have a high proportion of the population living in low income, poverty, not just in the city, but in the state as a whole compared to the nation as a whole. And we can look at this as limiting access to services so if we say screening for breast and colon cancer reduces mortality, but we don’t have a system in place for everyone to access those prevention strategies we’re in trouble. Healthy diet, physical activity — if our neighborhoods aren’t safe, we’re not going to be out walking to the supermarket. LACAPRA: And in some neighborhoods, there may not even be a supermarket, right? COLDITZ: Ah, that’s what the science often describes as food deserts. We might say eating fruits and vegetables, whole grain bread, and other healthy choices is the way to go. These are typically a little more expensive and often not available in major parts of our cities, our rural communities. And again, it’s clear that’s true for parts of the state here, but it also occurs in other urban areas as well. LACAPRA: At the end of your article you pose a question, and that’s, who’s responsible for applying what we know about cancer prevention? Right? So what’s the answer? Is it the individual? Is it medical or other institutions? Is it the government? COLDITZ: Well I think we actually are all responsible. It’s not at one level on its own, it’s the multiple levels: local, state, national, government, healthcare system, and individual. All have to come together, if we’re really going to get the return on investment and prevent half or more of all cancer. 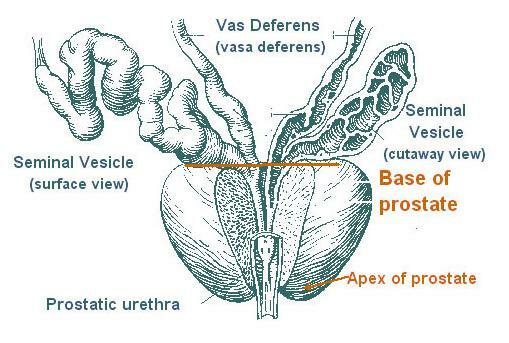 There's more evidence that most men don’t need an annual prostate cancer screening. Washington University chief urologist Dr. Gerald Andriole has been leading a clinical trial involving more than 75,000 men over the age of 55. The study has tracked the men for over a decade, to see whether getting an annual prostate-specific antigen, or PSA test, makes someone less likely to die from prostate cancer. A new project in north St. Louis aims to lower breast cancer death rates for women of color. Washington University sociologist Sarah Gehlert says even though nationwide white women are more likely to get breast cancer, black women are about 35 percent more likely to die of the disease. She says in St. Louis that number is closer to 60 percent. Researchers at Washington University School of Medicine have shown that estrogen-lowering drugs can help reduce the need for mastectomy in some breast cancer patients. Estrogen is known to increase tumor growth in the majority of breast cancer patients. In a new study, post-menopausal women with large breast cancer tumors were given one of three estrogen-lowering drugs before surgery. 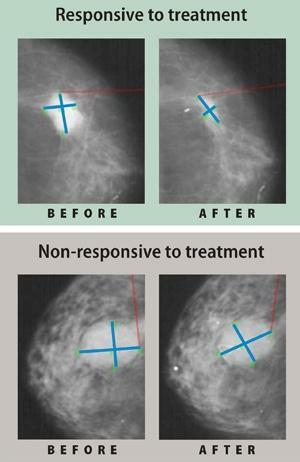 Study lead Dr. Matthew Ellis says all three drugs were equally effective in shrinking tumors and reducing the need for complete breast removal. Spikes and dips in cancer rates are not uncommon in public health statistics, but explaining why they occur and deciding what to do about them can often be as difficult as treating the disease itself. St. Louis Public Radio's Joseph Leahy takes a look at St. Louis County where the prostate cancer rate is unusually high. 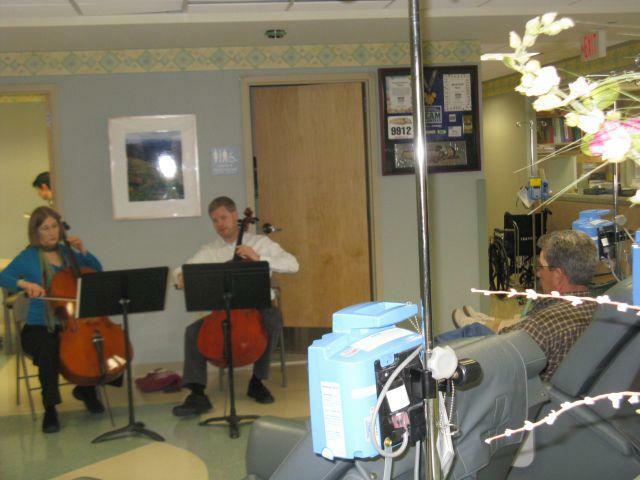 At first glance, the Saint Louis University Cancer Center and the St. Louis Symphony seem to have vastly different missions. One seeks to provide the best care possible following an often devastating diagnosis. The other seeks to spread the beauty of music wherever it can. But a unique collaboration looks to combine those two missions as often as possible in the region's first comprehensive music therapy program – to the benefit of both organizations and the people they serve.